Reigning Inferno, a new in-game event for For Honor, has begun. Part of Season VII, Reigning Inferno brings a host of new challenges and rewards for players. Appropriately, they are all fire-themed. 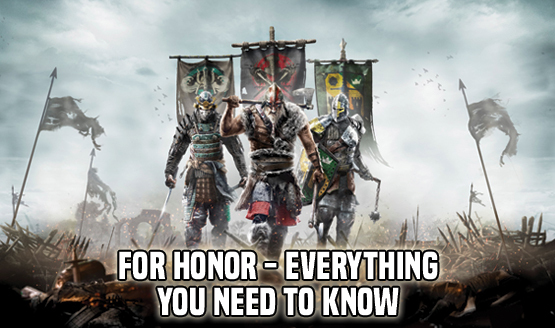 The most significant addition is For Honor‘s Infernal Dominion, where the world is covered in fire. If you find a zone you’re in is being contested, you better watch out. You might suddenly find yourself surrounded by fire and faced with two options. Do you engage in a fight? Or do you decide it’s not worth the risk and flee? If you do flee, be careful, because fire (obviously) burns you. Here is the For Honor trailer teasing Reigning Inferno. Naturally, a new For Honor event brings a host of new loot to obtain. During the event, you can get your hands on weapons, Battle Outfits, and Fraction Ornaments, all of which have a fire theme. There’s also a brand-new Mood Effect as well. All of the fire-themed goodness can be bought in the special Reigning Inferno Bundle, which will be available during the event starting August 23, 2018. If Reigning Inferno sounds familiar, you may be thinking of Marching Fire. That For Honor expansion was first unveiled at E3 2018, and it will bring the new Wu Lin faction to the game. It is set to be released on October 16, 2018 and will also include a 4v4 Breach mode and other additions. For Honor’s Reigning Inferno will last until August 30, 2018. For Honor is available for the PlayStation 4, Xbox One, and PC.